I first posted a version of this piece this time last year. This is a relaunch – more photographs, less story – a thank you to a city that gave us so much. In the summer of 2014 we arrived in our new home on the outskirts of Naples. We left this autumn. Two years in total, two years in which we were privileged to see places many Neapolitans themselves never get the chance to visit. Some of the sights we saw were outside the city but many were squeezed into its narrow streets. This post, mainly of photographs, is a glance at the context, at some of the neighbourhoods and corners, that frame a few of those places that were in Naples itself. This entry was posted in Italy, Naples, Other discoveries in Naples and tagged Capodanno, Italy, Naples, Napoli, New Year, Officina Flegrea, Parthenope, the Bay of Naples, Tyrrhenian Sea, Vesuvius. Bookmark the permalink. What lovely memories this post brought. You are right — those of us who have lived in Naples are privileged. It’s a city of contrasts and contradictions where one can find traces of everything that ever was. I can’t wait to return. 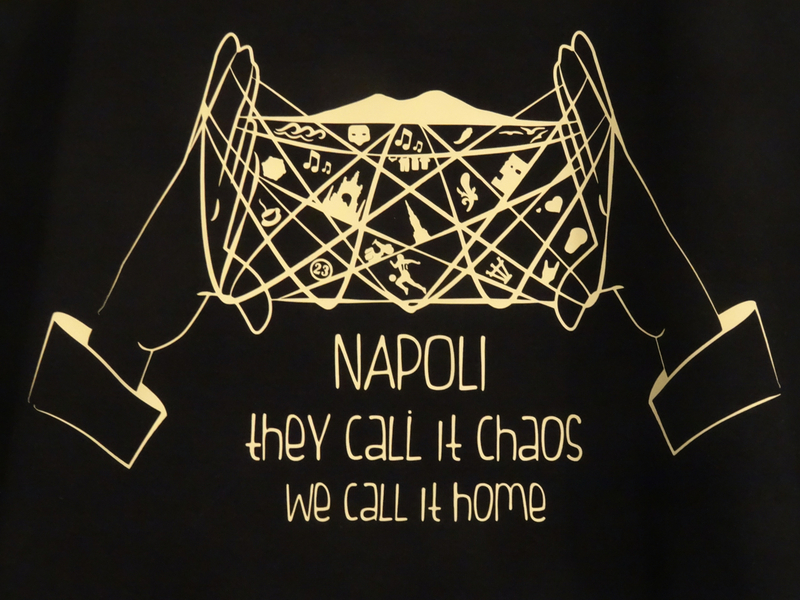 Thanks Antoinette … “traces of everything that ever was” … that’s it, that’s Napoli.